Anyone who has flown over American skies in the past 13 years understands the frustrations of working with the Transportation Security Administration. From the limitations of 3-1-1 liquids to the potential of luggage theft while in the secure area, thousands of travelers file complaints every year about their experience with the aviation security agency. One of the biggest points of stress comes after a boarding pass is verified when travelers are subjected to the full body scanners. Technical problems with body scanners have been widely documented throughout the years, and have been problematic for many different types of travelers. When it comes to the TSA checkpoint, do you know all of your rights passing through? Prior to boarding, travelers have at least two options to get through the checkpoint, while some may have an additional option. For many, the full body scanner seems to be the only option available. With the controversial backscatter machines removed from all American airports in 2013, the full body scanners are touted as the primary method of clearing passengers before boarding their flights. The full body scanners are easy to understand: when instructed, travelers step into the scanner chamber and hold their hands above their head. The machine will pass by the traveler to scan their bodies for anomalies. If an anomaly is detected by the machine, the flyer is then instructed to step aside for additional screening, which often involves a physical pat down of the area in question. Since their inception, full body scanners have been openly questioned by a number of groups, including civil liberties groups and members of Congress. In 2015, a lawsuit presented by three nonprofit groups compelled the TSA to provide standardized rules for those going through the body scanners. 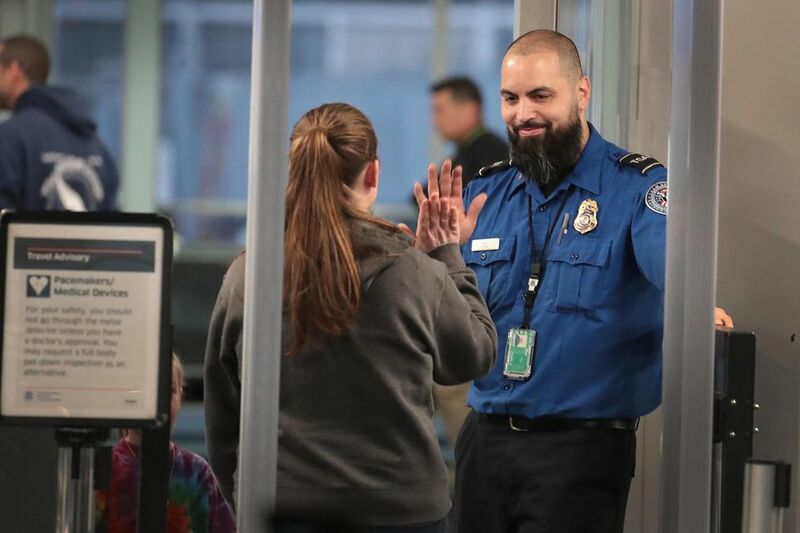 For those who do not trust the full body scanners or are flying with special conditions, there are additional options to get through the security checkpoint, including subjecting to a full body pat-down or signing up for TSA Pre-Check. Any person passing through a TSA checkpoint is legally allowed to opt out of the body scanner for any given reason. However, the TSA is still responsible for ensuring the safety of commercial flights, which requires screening for all commercial passengers. For those who opt out of the body scanner, the alternate option is the full body pat down. The full body pat down is a manual screening by a TSA agent of the flyer's gender and is intended to ensure that a traveler is not carrying contraband aboard an aircraft. While some pat-downs take place in public areas, flyers can request a pat-down to take place in a private room. Once complete, travelers are allowed to go on their way. While many view the full body pat-down as an invasion of privacy, there are certain travelers who may want to consider it as a viable option. While there is no evidence that pacemakers or implanted ICD devices can be affected by body scanners, those who are concerned about their condition may want to consider opting out. Furthermore, travelers who are concerned about any physical or mental conditions may want to consider the alternate option. Those who have concerns prior to travel should contact the Federal Security Officer at the airport to discuss arrangements ahead of their travels. For those who do not want to be subjected to body scanners or full body pat downs every time they fly, there is a third option available. By signing up for TSA Precheck, travelers can not only keep their personal items packed and shoes on but also avoid body scanners most times they fly. Instead, travelers will be able to pass through the dedicated Precheck line, which includes passing through a metal detector. In order to obtain TSA Precheck status, travelers must either apply for Precheck or obtain the status through a trusted travel program. Those who apply for Precheck must pay an application fee and submit to a background check. Before Precheck is approved, travelers must also complete an entry interview, which includes a document check and fingerprinting. However, even those travelers with Precheck are not guaranteed to access the metal detector every time they go through security. Precheck flyers can be randomly selected to go through the full security line at any time. While the full body scanners may be tolerable for many, it is not the only security option available. By knowing all the options available, travelers can make the best decisions for their situation and personal well-being.